Driving under the influence can severely impair your driving, leading you to get pulled over for making traffic violations. But even worse, driving with alcohol in your system could cause you to injure yourself or someone else if an accident were to occur. No one wants to find themselves in this situation. But if you do, it’s imperative that you know what you’re up against. There are four different types of Chicago DUIs, which you should know about when it comes time to defend your case. By knowing the difference between underage DUI, misdemeanor DUI, felony DUI, and aggravated DUI, you’ll know what kind of consequences you could be facing. For first and second time DUI offenses, the state of Illinois typically defines them as a class A misdemeanor. While the punishments for a misdemeanor DUI aren’t quite as severe as a felony or aggravated DUI, it still has the potential to turn your life upside down. Being convicted of a misdemeanor DUI means you could wind up facing a maximum of one year in jail, plus up to $2,500 in fines. It’s expensive, plus it’ll take you away from your family, friends, and your job. Not to mention, you’ll have the stigma of a DUI to follow you around for the rest of your life. However, even if you’ve never received a DUI before, you could be looking at felony or aggravated DUI charges depending on the circumstances. For instance, if an accident occurred as the result of your impaired driving, the punishments are more serious. When convicted of a felony DUI, you are going to be looking at extended time in jail, as well as heftier fines. There are a number of circumstances that turn a DUI from a misdemeanor into a felony charge. One instance of that is being arrested three times for drinking and driving. This will be considered a class 2 felony. If you cause someone else’s death while driving drunk, this would be deemed a class 2 felony as well. If you are found to be driving under the influence with a minor that’s aged 16 or younger and injuries occur, this is increased to a class 4 felony. Another example of a class 4 felony is drinking and driving with a suspended or revoked license or failing to have car insurance. If you were to cause great bodily harm to someone as a result of your impaired driving, this is also deemed to be a class 4 felony by the state of Illinois. Most states across the U.S. have strict zero-tolerance policies when it comes to underage drinking and driving. This includes the state of Illinois. For anyone who is under the age of 21, you will face an immediate driver’s license suspension and the suspension of driving privileges for three months if you’re found to be driving with alcohol in your system. If at the time of the incident, you reuse to take an alcohol test, this three-month suspension becomes a six-month suspension. And if you are convicted of an underage DUI in court, you could face up to one year in jail, a fine of up to $2,500, and the suspension of your driver’s license for at least two years. Not only that, but this conviction can wind up on your permanent record, which can leave you facing even more consequences later on. For instance, it may be difficult to land jobs that require you to drive for a company, insurance rates will skyrocket, and more. An aggravated DUI is also considered to be a felony, but it also means the impaired driver broke another law in the process. Your DUI could become an aggravated DUI due to various circumstances, which include: prior DUI violations, driving without insurance, driving on a suspended or revoked license, driving without a valid driver’s license, driving in a school zone, causing an accident that resulted in bodily harm, accidents that caused bodily harm to a minor under 16, a second DUI while transporting minors under 16, and a second DUI after a previous conviction for an alcohol-related homicide. These offenses are typically more serious and will result in more severe consequences if convicted. You could be looking at longer jail sentences that range from one to three years or even seven to 12 years. It all depends on your situation at the time of DUI and your previous record regarding alcohol-related charges. A DUI is something that shouldn’t be taken lightly. 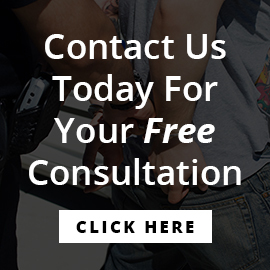 It’s important to seek the help of an experienced attorney who can potentially help to minimize the effect a DUI conviction will have on your life. Contact the law offices of Stephen J. Feldman today to learn how we can help!